As newcomers learn to make Hamilton their new home, Centre for Print and Media Arts has been dedicated to providing free arts programming as part of the [Nu]Links community arts project by [Nu]Links Coordinator, Hitoko Okada, and funded by the Ontario Trillium Foundation. Many of the workshops have explored narratives around migration and settlement through diverse mediums. These newcomers arrived to Hamilton with suitcases filled with valuable experiences waiting to be told. 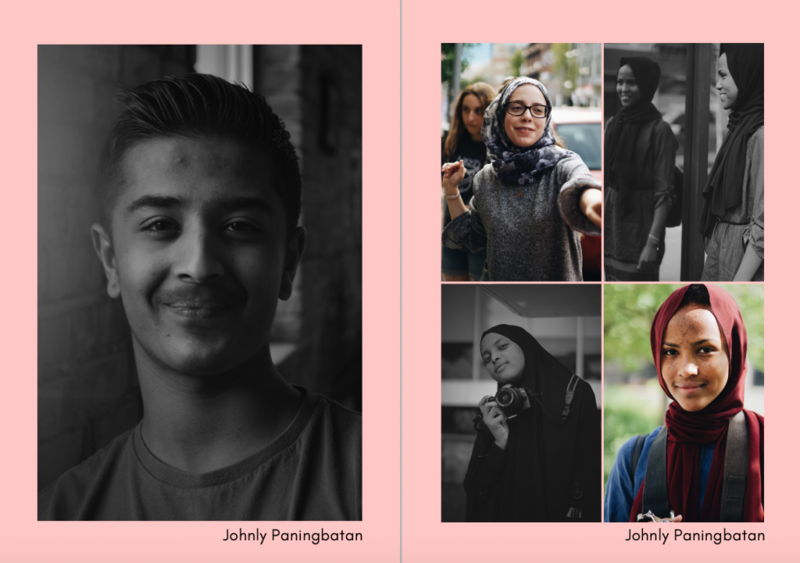 However, there aren’t many spaces dedicated to newcomers having a platform to express their point of view and most importantly, share their stories. After all, the art of storytelling is cathartic and can ultimately ease the adaptation of newcomers to their new home. “The purpose of the project was to use the arts as a way for newcomers and refugees to access space in the Hamilton arts community and to decrease isolation. [I] directed programming to explore and facilitate collective and personal narratives instead of settlement integration into dominant white Canadian culture, which is often the approach around settlement programs,” explained Okada. Okada also directed the program towards facilitating professional opportunities for emerging artists and art educators to develop their social practice. In the same manner, the [Nu]Links program were an opportunity to help newcomer art educators break down barriers towards practicing their work in Hamilton. 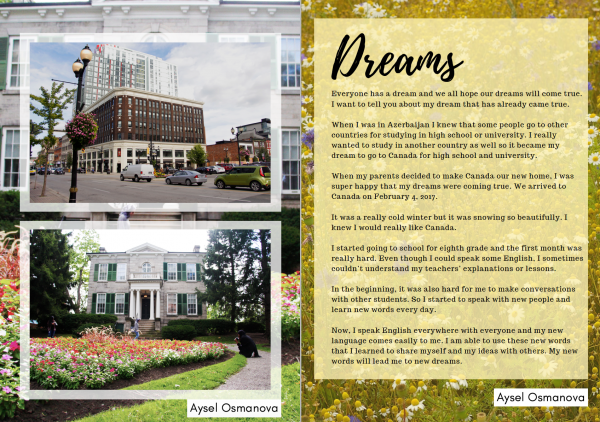 For Razan Samara, an undergraduate student at McMaster University, providing this platform and creating space for newcomer youths to explore storytelling was a crucial goal while designing a photography and writing workshop series. With an immense support from Hitoko Okada, and local artist, Sahra Soudi, the workshops took place throughout September and October and will culminate with a community arts exhibition on November Art Crawl. The workshop attendees received the opportunity to attend photography, writing and editing presentations, go on a photo walk through downtown Hamilton and have a portrait studio session with professional photography equipment and do-it-yourself props. 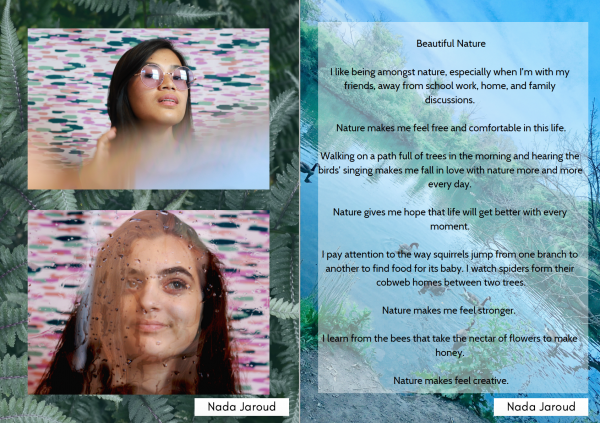 Joan Carias, who took part in the [Nu]Links workshop believes that her photography skills had improved with the help of the feedback provided during the workshop. She’s excited to accept photography requests and start taking pictures of events. Carias found out about the [Nu]Links workshop by rummaging through piles of pamphlets at the YMCA. “Perhaps there are more opportunities out there for newcomers but [they’re] not well posted…I think that [programs] should give attention [to] these opportunities and increase [accessibility to] applicants,” explained Carias. In fact, there is a need in Hamilton for more accessible arts programming. Similar programs to [Nu]Links will make opportunities and resources accessible for everyone to push their creativity to the next level. This will also provide them with an avenue to share their stories. “Newcomer narratives are often told through the frameworks of social workers, case managers, healthcare professionals and other institutional lenses. This program gives the space, facilitation and support for their stories to be told from their own voices,” explained Okada. Centre  will showcase the works of workshop attendees through a community arts exhibit at 173 James Street North from Nov. 9 to Nov. 30. The opening reception will take place at 7 p.m. on Friday Nov. 9 during Art Crawl. 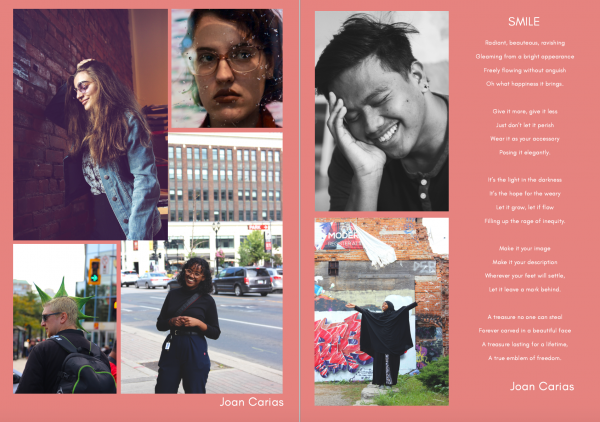 The exhibit is an opportunity for the [Nu]Links attendees to experience Art Crawl while sharing their own photography and written works with the Hamilton community. “The [Nu]Links youth programs have been some of our most engaging programs. The experience has brought the youths together to build creative community and belonging. In this exhibition, the youths share their world view and life as they see it and tell it. It is contemporary coming of age narratives in our current polarizing climate,” said Okada. Note: Razan Samara, Arts and Culture Editor for the Silhouette, was involved with this project.